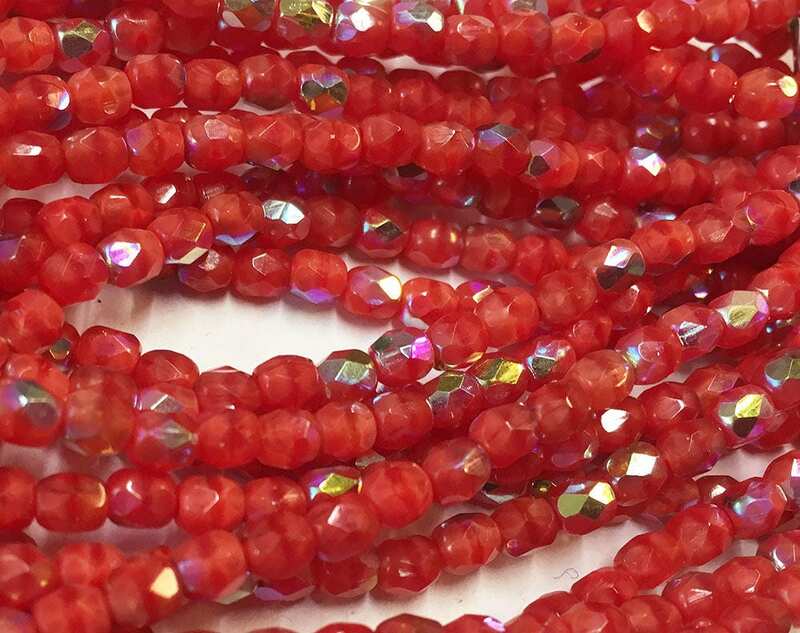 Opaque Coral Orange AB Preciosa Czech fire polished crystal beads. These beads measure 4mm. Add some sparkle to your jewelry creations!